With the report from Florida Gov. Rick Scott on Monday that 14 people in the state have been infected with the Zika virus most likely through mosquito transmission, the concern about out­breaks in the U.S. has intensified. The news comes on the heels of new research by Northeastern pro­fessor Alessandro Vespig­nani that can help coun­tries in the Americas plan a response. The new study, along with interactive maps, provides current numbers as well projections for the number of Zika cases in the Americas through January 2017. It also provides projections for the number of microcephaly cases associated with the disease through October 2017, a date chosen to allow for the nine months of preg­nancy. Microcephaly is a serious neurological birth defect characterized by a smaller than normal head , reports Science Daily. The research is a collaboration overseen by the Center for Inference and Dynamics of Infectious Diseases, a Models of Infectious Disease Agent Study Center of Excellence funded by the National Institutes of Health. Tackling Zika has been “a call to arms,” says Vespignani. “We’ve been working on the modeling around the clock since January,” adds Matteo Chinazzi a postdoctoral research associate in Vespignani’s laboratory for the Modeling of Bio­log­ical and SocioTechnical Systems, or MOBS, and a coauthor of the study. The team of 14 researchers uses large- scale com­pu­ta­tional epi­demic models that inte­grate socio- demographic and travel data of target pop­u­la­tions along with sim­u­la­tions of infec­tion trans­mis­sion among mil­lions of indi­vid­uals to reconstruct disease spread in the past and project it into the future. Under- reporting is rife in affected coun­tries because up to 80 percent of people with the dis­ease are asymptomatic, says Vespignani, Sternberg Distinguished Professor of Physics and director of the Network Science Institute at Northeastern. “Even of those with symp­toms, prob­ably only one- third will go to the doctor and get diag­nosed,” he says. Indeed, the number of travel- associated cases of Zika in the U.S. reported by the Cen­ters for Dis­ease Con­trol and Pre­ven­tion may be just the tip of the ice­berg, according to the research. 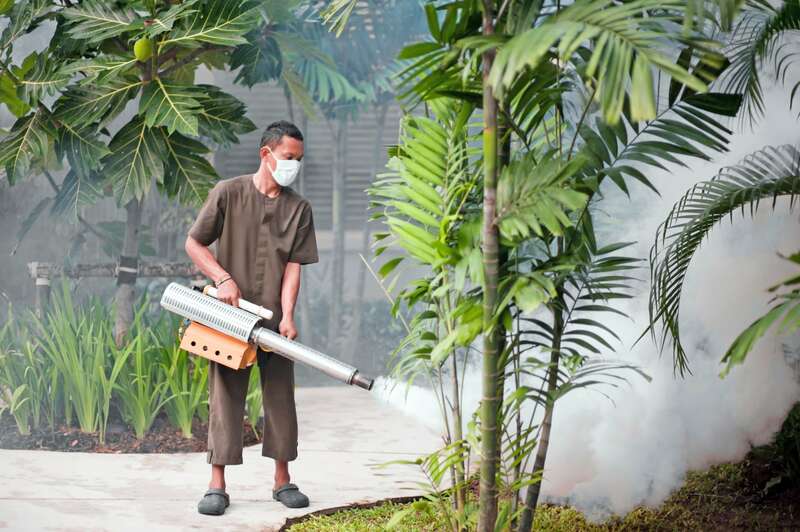 The team, half of which is at North­eastern, projected that as of June 15 there were close to 30,000 cases of travel- related Zika in the U.S., a number 25 times greater than that reported by the CDC on the same date. The discrepancy results from the difference between reported cases of the mosquito- borne virus — those actually diagnosed and reported to the CDC’s sur­veil­lance system — and those that fly under the radar but that the researchers’ modeling algorithms can project. “We don’t project very large out­breaks in the continental U.S.,” says Vespig­nani, whose lab has been running the simulations of infection transmission — a job that requires using some 30,000 proces­sors at once. “But there is a cer­tain set of countries in the Americas that has the right mosquitoes, the right weather, and the right socioeconomic con­di­tions for major out­breaks.” Those con­di­tions include lack of air con­di­tioning, poor sanitation, and little access to education, for example, instruc­tion on preventative measures such as removal of standing water, which attracts mosquitoes. Still, the risk of con­tracting Zika as a result of the 2016 Olympics in Rio de Janeiro is extremely small, says Vespig­nani. That’s because the increase in air travel from Zika- affected areas will be minimal — less than 1 per­cent. The number of cases in Brazil, where the virus sur­faced between August 2013 and April 2014, reached its peak in the first half of 2015 and has been declining since, affecting close to 10 to 15 per­cent of the population. Projecting the spread of Zika has been much more dif­fi­cult than doing so for Ebola or the flu, says Vespig­nani, who has mapped both. That’s because the dis­ease is primarily transmitted not from person to person but from mosquitoes to people, most often the species Aedes aegypti but also Aedes albopictus,both of which carry the dengue and yellow fever viruses as well. Thus data on human mobility, socio- demographics, and temperature changes — the bread and butter of epidemic modeling — must be com­pounded with data on the mosquitoes, much of which is uncer­tain, such as their travel pat­terns, abun­dance, and life­cycle depending on tempera­ure. “Unfortunately, mosquitoes do not have a GPS attached to them,” says Ana Pastore- Piontti, also a post­doc­toral research asso­ciate on the MOBS team who has also worked with Vespig­nani on past dis­ease threats such as the Ebola epidemic. In addition, re­latively little is known about Zika itself, for example, pre­cisely when and where the virus arrived in Brazil, the length of the incu­ba­tion period in humans and mos­qui­toes, and whether humans can develop immunity to the virus. Indeed, with no data available specifically on the relationship between Zika and its host mos­qui­toes, the researchers had to rely on the historical literature on other mosquito- borne dis­eases including dengue, malaria, and chikun­gunya. “But that means that we are making a lot of assump­tions that Zika is close to dengue, for example,” says Kaiyuan Sun, PhD’19. He and Dina Mistry, PhD’18, are also coau­thors of the Zika study.